So, where did I leave off? Oh, yes…on the road to Napa. Our hotel, The White House Inn, was absolutely wonderful. It’s a gorgeous old house that’s been renovated into an inn. It was kind of like a B&B, but without the weirdness of people living there and sharing bathrooms with other guests. 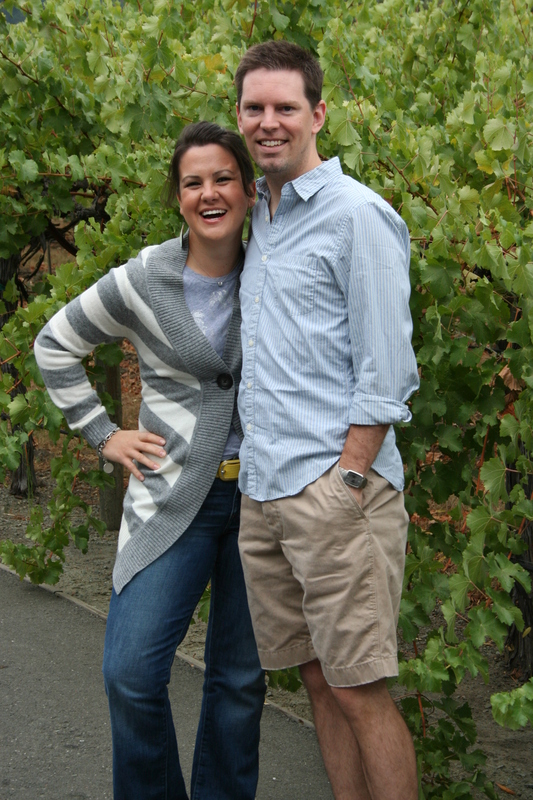 They served a great breakfast each day, which came in super handy when faced with a day full of wine tastings. 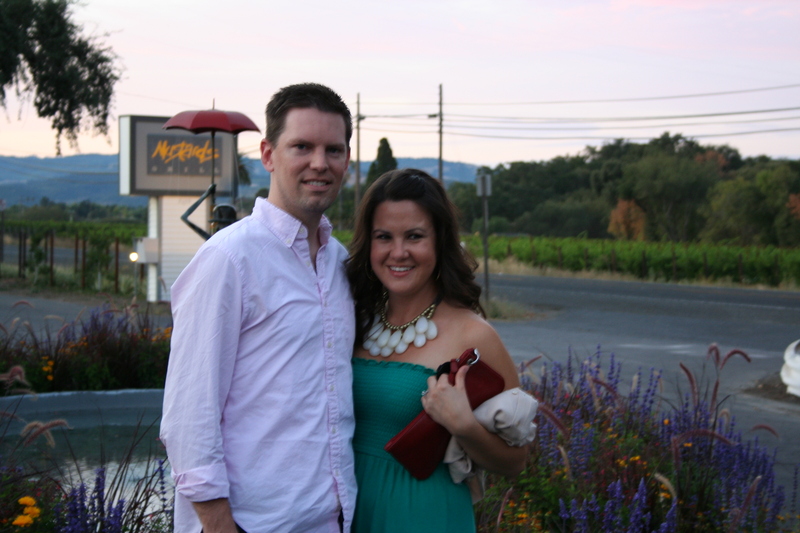 Our first evening in Napa, we ate at a place called Mustards Grill. It was INCREDIBLE! They had a great mix of down-to-earth-food and more adventurous things. Trav got the award for most adventurous entree when he ordered the chicken fried rabbit. It was SO good. Tasted just like chicken. 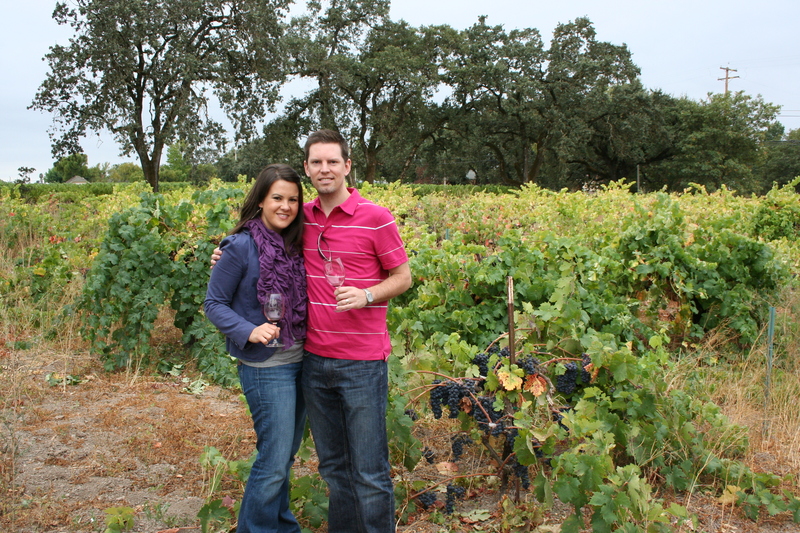 The next day we began our wine tasting adventure. 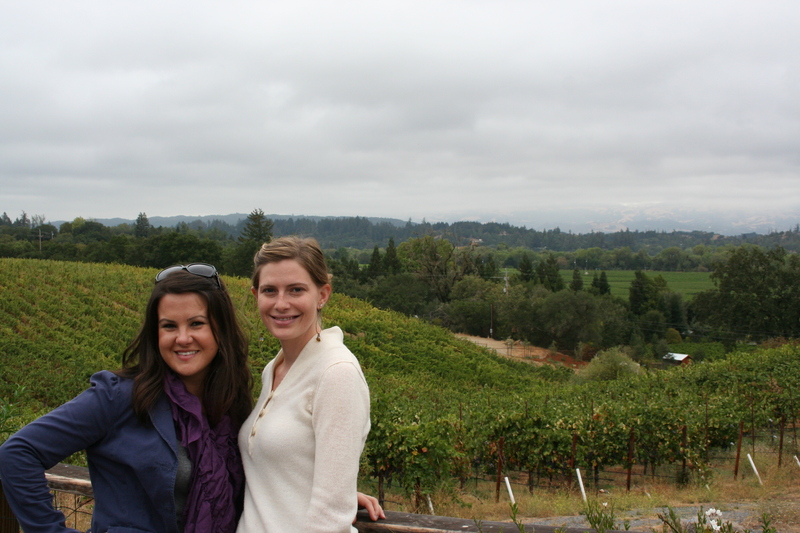 We began at Cakebread and absolutely loved it. We did their Sensory Evaluation Tasting, which taught us how to pour, smell, and taste wine. I was afraid it might be a bit hoity-toity, but it wasn’t at all. Our server was great and made the experience so much fun. Later that day, we hit up the Del Dotto caves. 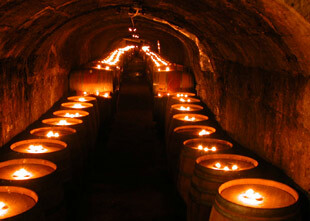 They do their tastings inside a cave and straight out of the barrels. 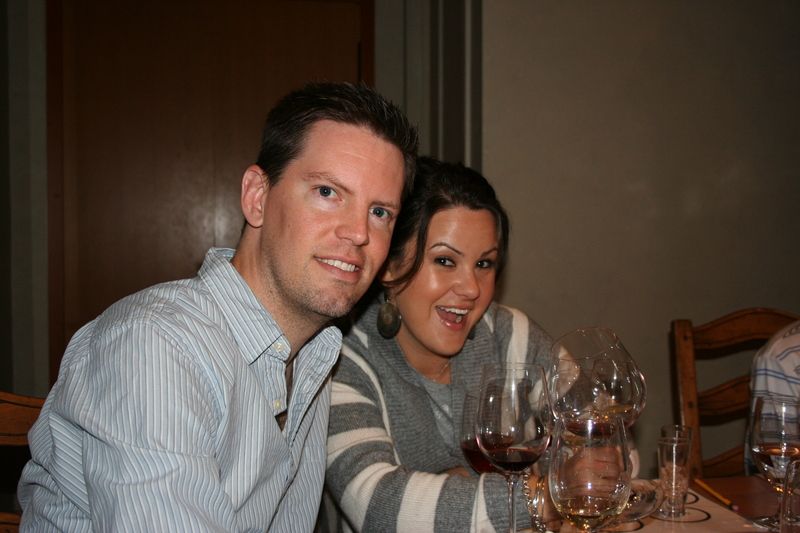 We tasted around 14 different wines and, needless to say, had a great time. 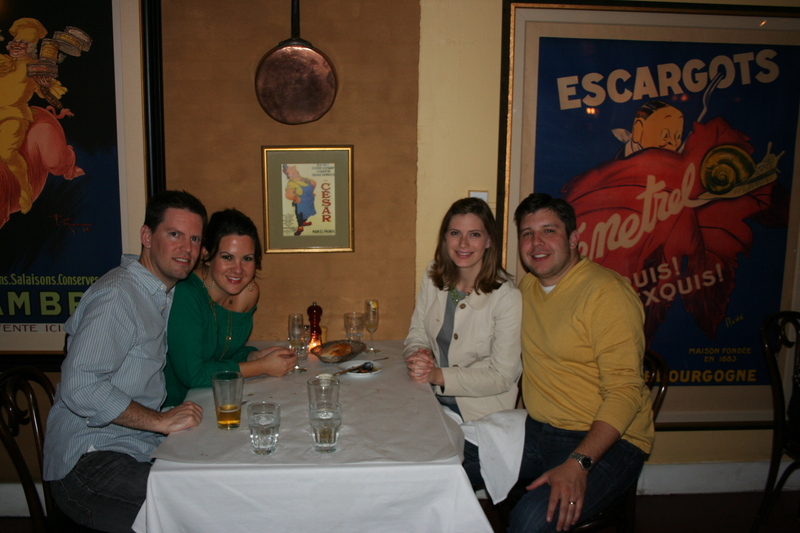 That evening we had yet another spectacular meal at a French restaurant called Bistro Jeanty. I seriously felt like I was in Paris…so casual, so cozy, and sooooooooo delicious. 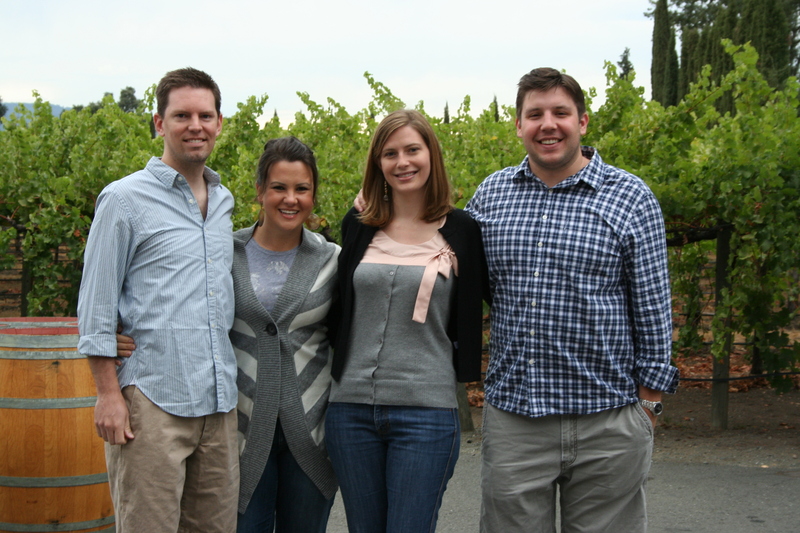 The next day we toured small boutique wineries throughout the Russian River Valley. 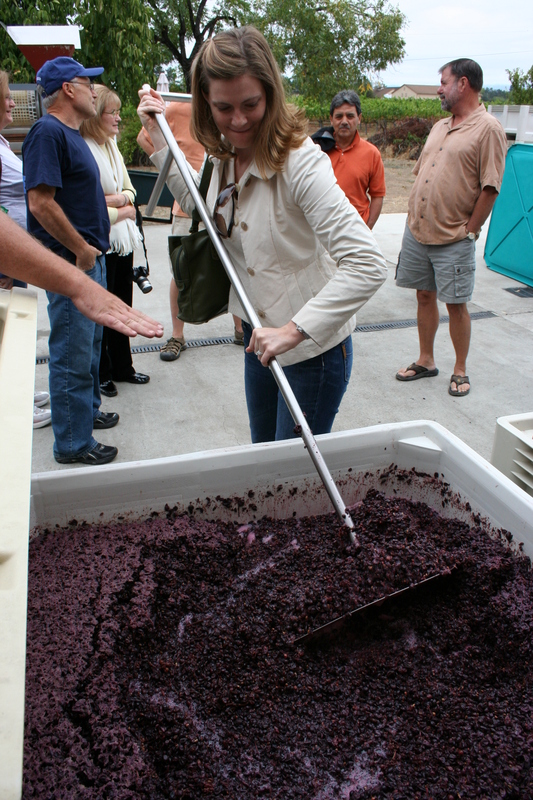 These were my favorite tastings, because you actually get to meet the owners/winemakers and see the process up close and personal. 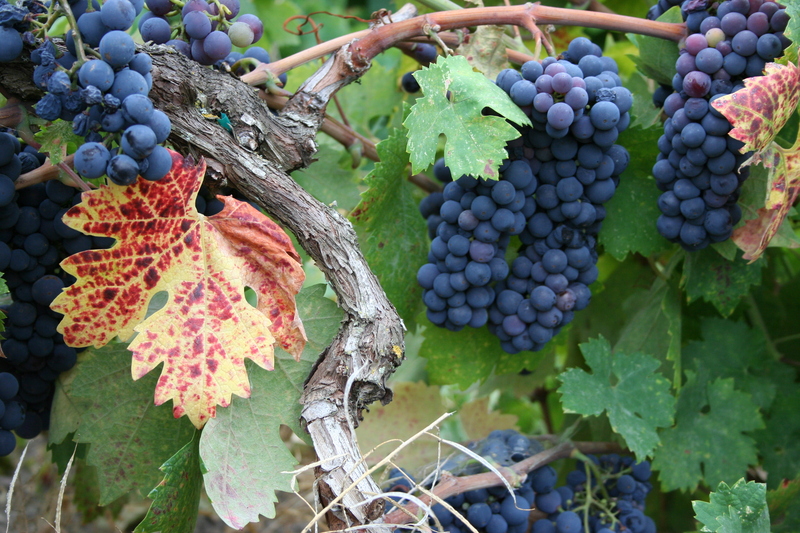 First up was Inspiration Vineyards. This was, by far, my favorite tasting of all. The tasting was at an old picnic table under a huge tree surrounded by vineyards. 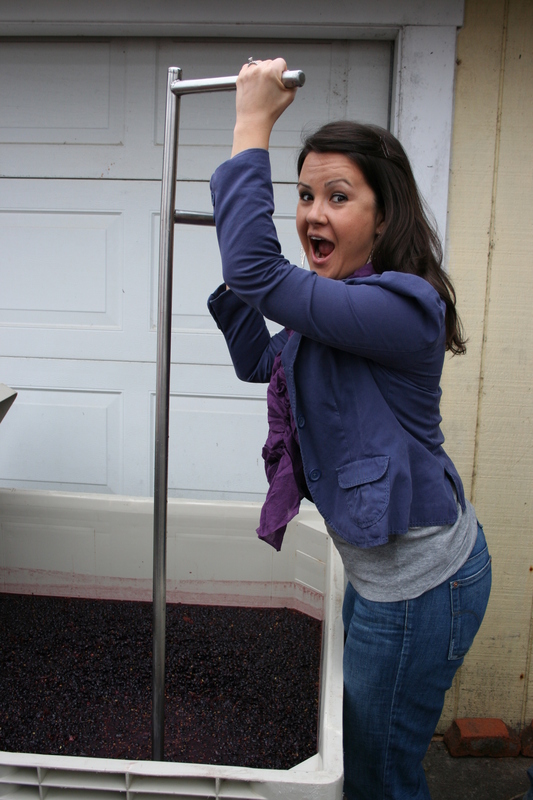 We even got to press the grapes, but unfortunately not with our feet. 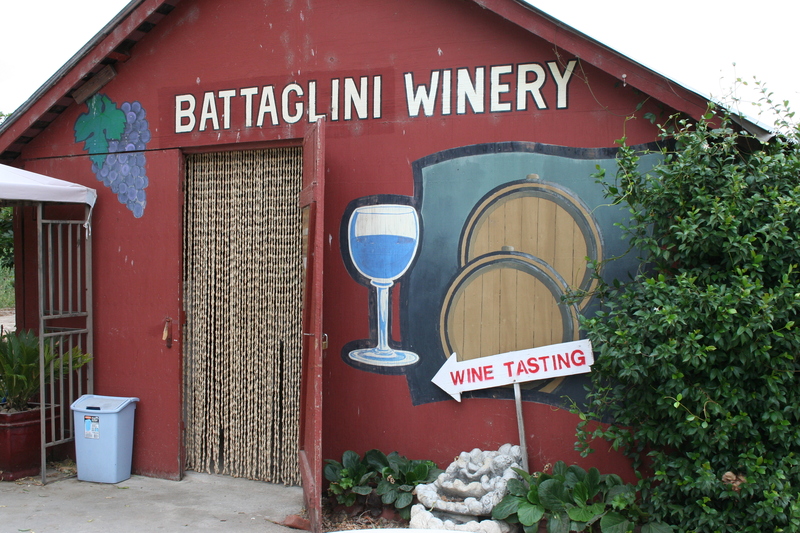 Next stop was Battaglini Estate Winery. I pretty much fell in love with the couple that owns this fabulous little winery. Their names? Giuseppe and Lucia. I’ve always wanted to meet someone named Giuseppe. Next on the list was Everett Ridge Winery. The views and the all-you-can-eat cheese puffs were unbelievable at this place. The wine was good, too, but this place will definitely be remembered as the most gorgeous stop we made. Last on the list was a winery called Foppoli. The wines here were great and I totally wanted to be Italian by the time we left. I think Evan did, too. 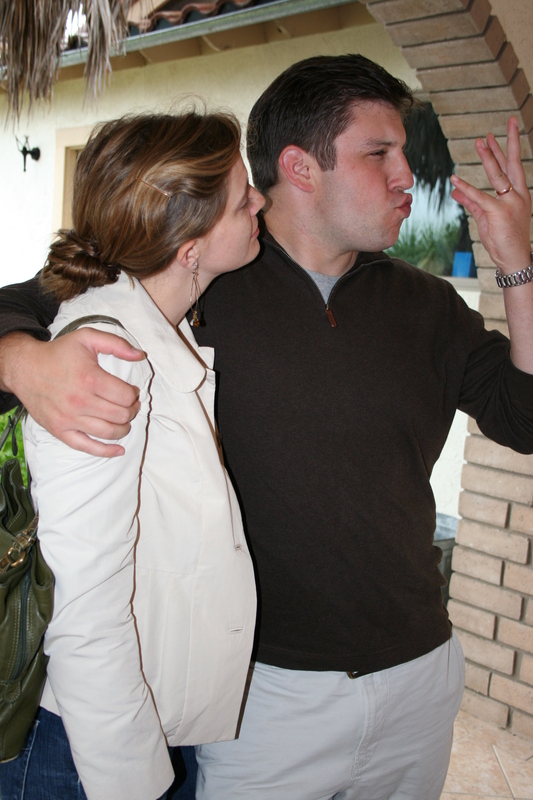 He was pretty stinkin’ good at the whole kiss-your-fingers-and-throw-them-in-the-air thing. We topped off the day with another fabulous dinner. We ate in downtown Sonoma at an adorable little place called the girl & the fig. This place served up my favorite dessert of the trip…Peach & Lavender Clafoutis with Hazelnut Ice Cream. Mark my words, I will go back here just to experience that deliciousness once again. So, I will finally bring this extremely loooooooooong post to an end. 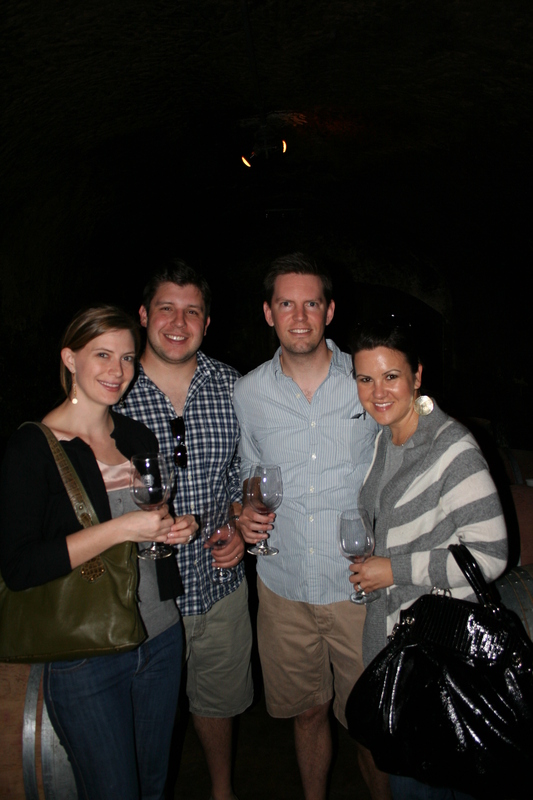 Thanks for touring Napa with us. I hope you enjoyed the ride. And the wine. And the food. And the gajillion photos of Trav and me. I am so jealous. First my dad last year with the wine train tour in napa. ( He actually got to drive the train. ) Now you, when is my turn! You and the family need to come over one night and share wine on the new patio around the fire pit. Looks like you guys had an amazing time!! I have to be honest though… all I can really focus on is your fall wardrobe in the pics, well done!! Come help me with mine? 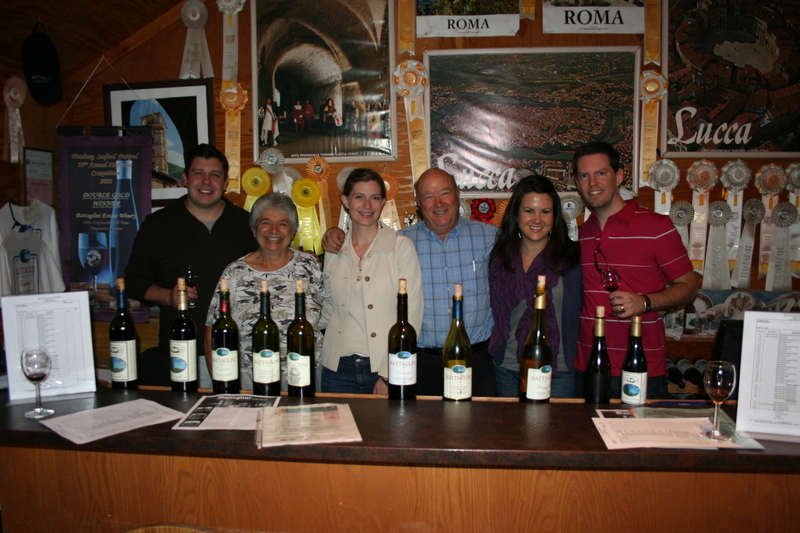 Some of our favorite memories are the wine tasting we did in Italy. Looks like a great time! Another wonderful travel log. (or blog). Great pictures of all of you and the country. I think you need to blow up the one of the grapes and have it matted and framed for your dining room. Fabulous! Love. The question is, do you know what he’s going to do with those? Looks like a great vacation…can you plan my next vacation…you seem to know all the wonderful dining spots and places to go! I was jealous, the weather must have been perfect for all your cute sweaters and scarfs. I would have much preferred wearing those instead of swimsuits! Loved seeing all the sweet pictures of you and Travis! i must say, you and jessie did a great job of selecting your outfits. nice work. Jealous, jealous, jealous!!! I’ve ALWAYS wanted to take that exact same trip…to taste those exact same wines…to go to those exact same eateries, to eat all of that exact same food…to see all of those exact same gorgeous places!!! We did go to Boston and surrounding area once and ate lobster rolls. I can completely understand the rave review over the crab rolls. So glad you got to go and have such a wonderful time. SO MANY GREAT SHOTS! loved them all. and the recap.